Dog ownership in the United States is at an all-time high. There are more than 75 million pet dogs in the United States and the number increases each year. At the moment many people are obtaining dogs and puppies from animal shelters and rescues. This means that the dogs may not have had the best start in life. Unlike puppies which come from dedicated breeders, puppies and dogs in shelters and rescues may have been abandoned or abused. They may not have been socialized. They may already have had one or more homes and been dumped by owners when they displayed some behavior that the owner couldn’t solve. In some cases these “behavior problems” may not be serious at all. However, with first time dog owners the behavior, such as a housebreaking issue or too much barking, may be enough to land the dog in the pound. In this environment there is enormous opportunity for good dog trainers to help owners and dogs. Whether you offer private consultations for specific behavior problems, puppy kindergarten classes for socialization, group obedience classes, or other training, you can help dogs learn to adjust to their homes. This means they can be saved from another trip to the animal shelter where they could be put to sleep. You can literally save a dog’s life by proper training. Well-trained dogs keep their homes. 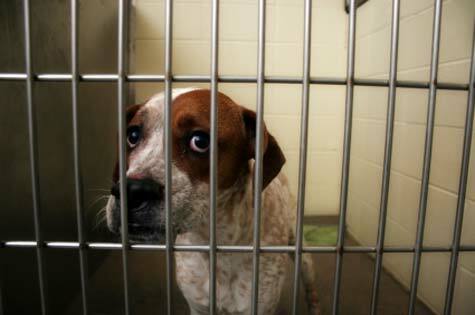 Untrained dogs are much more likely to be dumped and put to sleep. Once a dog has a reputation as a problem dog it’s less likely that anyone will want to adopt him. There are too many dogs available that don’t have that strike against them yet. In most cases it’s just as important to train the owner as it is the dog. The dog may not be able to learn what he’s supposed to do because the owner isn’t communicating effectively. Your training for both owner and dog can save the relationship. Some shelters have discovered that if they offer some basic training classes after adoption that owners who attend are much more likely to keep their dogs. Just a few basic lessons in how to handle common dog problems is enough to help them manage the issues they may face at home with their new dogs. Unfortunately many people who get cute puppies play with them for a few weeks only to discover that the puppy has trouble learning to be housebroken, or continues to chew on people or things, or jumps up on people, or any of a dozen other ordinary dog behaviors. The puppy isn’t bad. The puppy is doing things that are natural for him. But there is a breakdown in communication between what the owner wants the dog to do and what the puppy understands. Too often the result is that people take these young dogs back to the shelter. As they get older it gets harder and harder to adopt them out and they are more likely to be put to sleep. As a dog trainer you are in a position to help these owners and their dogs. It’s a great feeling when you know that you have helped to save a dog’s life by teaching him and his owner how to understand each other. This is a great article! I only wish it could be printed and posted everywhere, all over the country and the entire world! Another part of this is responsibility. When you adopt a dog, or any other animal, you are saying to that animal that you will take care of it, unconditionally! It infuriates me when people run into those issues and just get rid of them! There’s no thought process that this creature is completely relying on you for it’s life! You’re holding a helpless, living, breathing animal’s life in your hands. It’s beyond my comprehension that there are so many people in this world that simply do not care. Quite frankly it breaks my heart. You must be ready and prepared mentally and financially prepared to adopt an animal. Anything can go wrong, and just as you’ve prepared for your human family, your pet must be taken care in the same way! These animals are NOT expendable lives that are easily dumped and thrown away. Yet, this is what happens millions of times, every year, as the statistics show. This may be harsh, but it comes down to this. If you cannot or will not be able to provide for an animal, in every single way, PLEASE, DO NOT HAVE THEM! It’s selfish on your part and unfair to them. I am happy to learn more about Wayne Booth and the possibility of learning to train dogs. I want to do this!!! Let us hear from you Eric.